The plain language of the second amendment is very clear and straight forward. The average citizen is free to use their common sense to defend themselves and the government has no business restricting this fundamental right. Tim Briggs, like too many legislators, feels that the government’s version of “common sense regulation” out-weights the rights of its’ citizens. “Gun Reform” has never been about safety or common sense; the only goal is expanding the power and control of the government – constitution be damned. Mr. Briggs, I suggest you get a “Shall Not be Infringed” tattoo to remind you to stick to legislation that is constitutional. The bill seeks to create a “voluntary self-exclusion list”. The idea being that if you report to the state police that you don’t want to own a gun, then later tried to buy a gun, fire arms dealers would be in trouble for selling a gun to someone on the list. Why anyone feels the need for assistance from the state to keep them from buying a gun is beyond me. However, it isn’t hard to imagine anti-gun fanatics putting themselves on the exclusion list and going around trying to trip up gun dealers on this new technicality. Mr. Briggs describes the bill as prohibiting devices such as “bump stocks” that assist in rapid firing. Like so many of these types of bills, what they say they do and how they will be interpreted once passed are two different things. Because of the bill’s loose language, the Firearms Policy Coalition has taken the position of being “Strongly Opposed” to the bill. 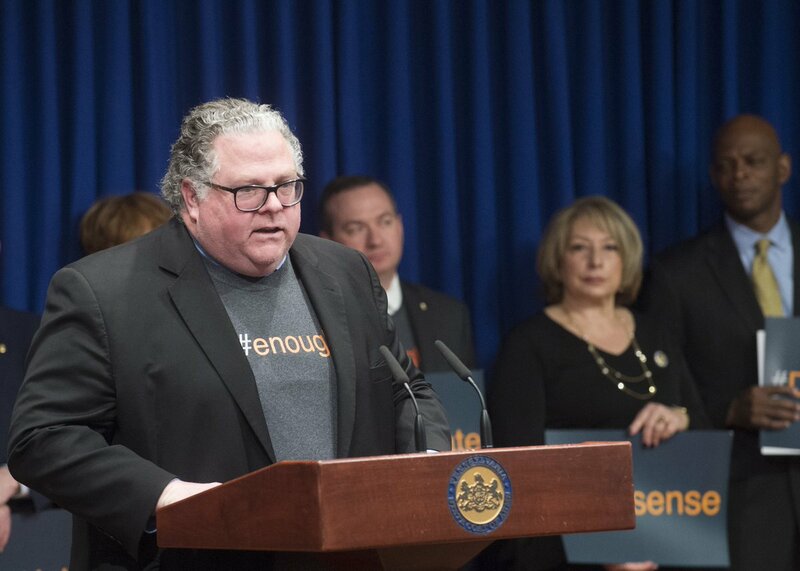 HB 1872 — the Pennsylvania “Accelerated Trigger Activator” BAN — is one of the most insane pieces of legislation ever brought forward in Pennsylvania. House Bill 2227 creates so-called “extreme risk protection orders” whereby a hearing would be held, firearms would be seized and constitutional rights suspended with little to no due process. Under House Bill 2227, a law-abiding gun owner could lose their right to own or possess a firearm and then have the burden placed on them to prove the false nature of the petition in order to have their firearms returned. This legislation does nothing to improve public safety, and allows for an extremely broadly definition of who can petition to remove someone’s Second Amendment rights. These bills are just the tip of the iceberg. Democratic efforts to reduce our ability to defend ourselves will continue until we have been completely disarmed. Needless to say, a vote for Tim Briggs is a vote to reduce your freedom.